A Japanese office worker has made a name for himself as a digital finger painting maestro. Seikou Yamaoka, from Osaka, produces replicas of masterpieces and new works using his iPad and iPhone. The app Yamaoka uses cost less than £5 but he has managed to use it to draw portraits, landscapes and compositions. 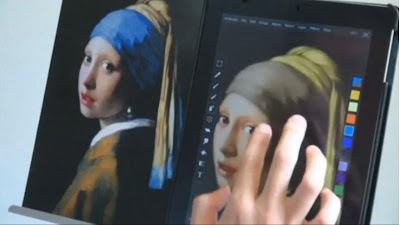 His digital finger painting skills have made him something of an internet sensation, with each YouTube video showing him painting on his iPad getting over 100,000 hits every time.